March definitely had “in like a lion” down pat. 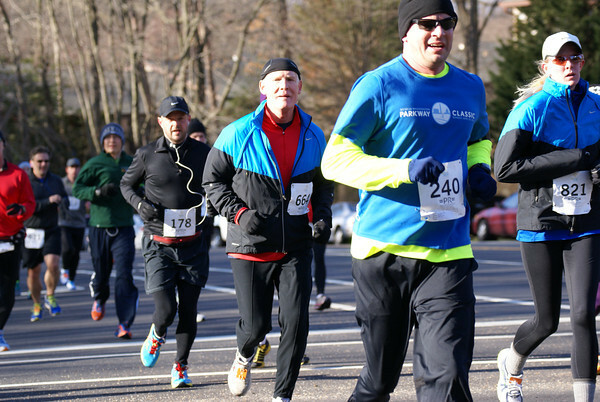 One look at the sell-out crowd at the Reston 10 Miler demonstrated that. Among the 1,040 finishers, there was barely any exposed skin outside of a few nutcases, like PR Racing teammates Andrew Ciarfalia, Andrew Whitacre and Noah Zaring, who decided to [button-red url=”http://prracing.racebx.com/files/results/4d9205ce-7a0c-46c1-8929-4f56c0a86522/4f6b2f94-68cc-4f16-bc36-62fac0a86522/2013%20Reston%2010%20Mile%20Overall.htm” target=”_self” position=”left”] Results [/button-red]forgo long pants, and the former two long sleeves, on their way to top-five overall finishes. “You came, you conquered and sure worked hard for that finisher medal,” the race announcer shouted through the microphone as [button-red url=”http://prracing.racebx.com/files/results/4d9205ce-7a0c-46c1-8929-4f56c0a86522/4f6b2f94-68cc-4f16-bc36-62fac0a86522/2013%20Reston%2010%20Mile%20Overall.htm” target=”_self” position=”left”] Photos [/button-red]runners finished the last 300 meters on the South Lakes High School track. The Reston 10 Miler was one of 18 races that are part of the Potomac River Running 2013 Trophy Series. Leading the female division pack with a time of 1:00:15 was Peggy Yetman, a Potomac River Running club member. “I’m getting over a little bronchial thing this week so my strategy was to not be too aggressive and lie back a little,” said Yetman who took the lead at mile three. Yetman, 44 of Leesburg, Va., has been training for Ironman Texas but the Cherry Blossom 10 miler is on her list for top priorities. “I didn’t want to leave everything out there today because I really wanted to be there for Cherry Blossom,” Yetman said while she stood at the awards ceremony receiving congratulations from her family and friends. Yetman got her start in running while conditioning for gymnastics. She continued to run through college, though wasn’t expecting to. Wendi Robinson, 25, of McLean Va., took third place in the female division with a time of 1:02:05. Robinson got her start in the Potomac River Running Club when she began working for the PR store nearly two years ago. The last 200 meters of the race, which finished on South Lakes High School track, took Robinson down memory lane to her high school and college years. Before the last 200 meters on the track, runners enjoyed two miles of down hills, which Matthew Clark, 29 of Reston, Va., said was a nice break. “The last two miles on the downhill comes off of a couple really hard miles and you can really push 30 or 40 seconds faster for each mile,” Clark said. He mentioned that many people use the Reston 10 Miler to tune up their legs after the winter season. Clark was tuning up to compete in the Rock ‘n’ Roll Marathon USA and the Boston Marathon. Barry “the juggler” Goldmeier, 48 of Rockville Md., was also using the Reston 10 miler to prepare for the season ahead. Goldmeier, who said he has juggled during his runs for the last 25 years, has several marathons planned for the spring. The proceeds from the Reston 10-Miler will benefit the South Lakes High School Track & Field program.